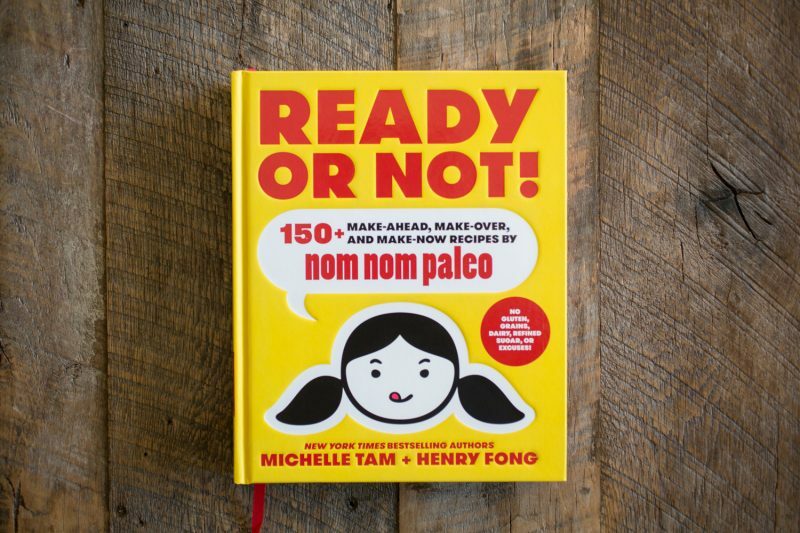 Late last week, we received a long-anticipated package in the mail: Nom Nom Paleo’s new cookbook, Ready Or Not! We’ve been seeing teasers and previews from this book on Michelle’s feed for months, and it’s been hard to wait for the real thing. I spent some time looking over most of the book, reading the introductory material (which is a nice, fresh take on whole foods / paleo eating). Each page is completely, thoroughly thought out in the most beautiful way possible. As we understand it, Michelle and Henry took several years to write this book, going recipe by recipe and also designing it page by page. We’ve designed all of our books (except Make It Paleo 2) so we know what that process looks and feels like. Prior to receiving the book, we already knew it was going to be exceptional, so that aspect was a given. The organizational structure of the book, however, was a pleasant surprise. Michelle and Henry have rethought the way the book is laid out. 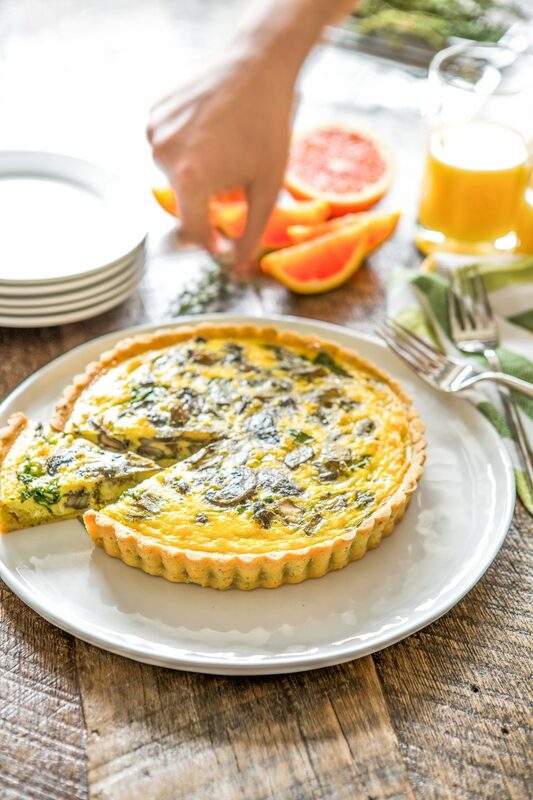 Rather than using conventional cookbook architecture (arranging recipes by meal, or by season), the book is arranged based on required preparedness for the recipes. This first section is “Ready”, as in, you have time to cook, you have taken the initiative to get ingredients, etc… which is like weekend cooking for most people. 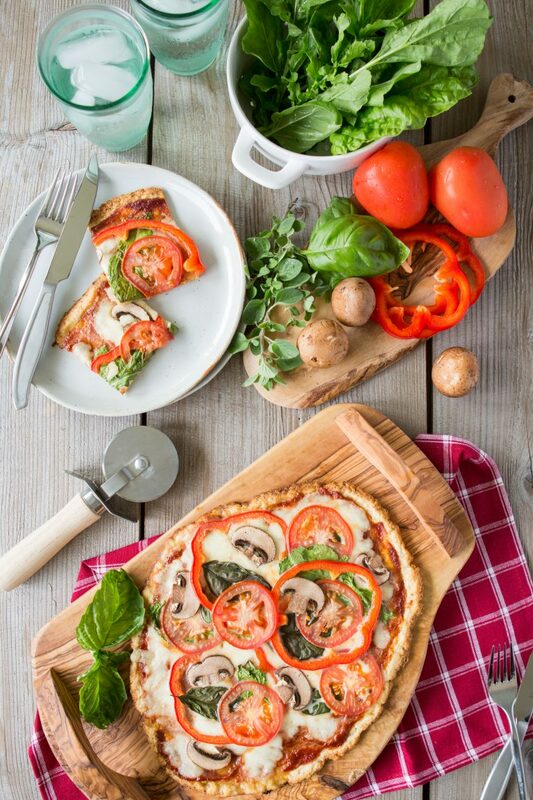 There’s a plan in place long before your stomach starts to growl. 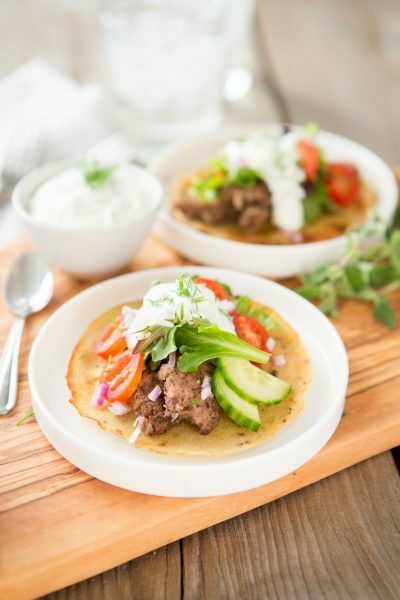 The middle section is everyday type of cooking – the kind of recipes where you are somewhat prepared. Maybe you have most of the ingredients, and have a little bit of time to cook a proper meal. The last section is the “not ready” recipes, where you need very little forethought to get food on the table. 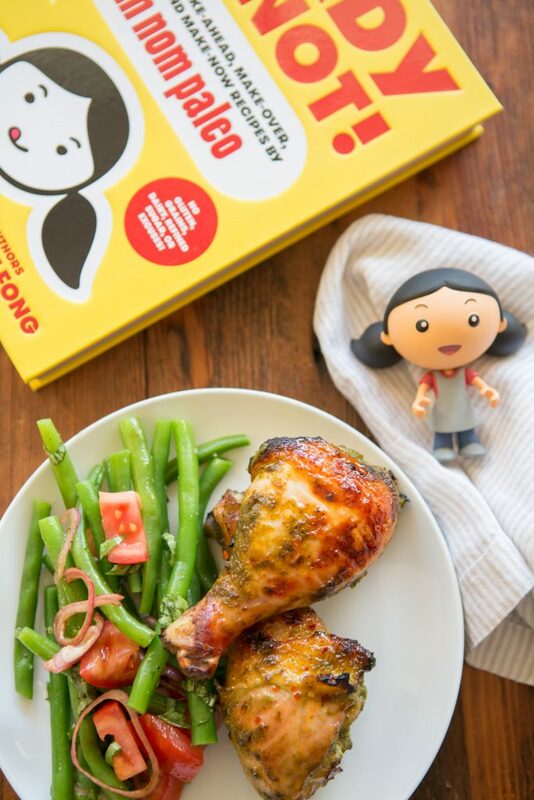 The thing that’s hilarious and genuinely unplanned about this, is that we chose a recipe from the middle section (Kind of Ready) to make – Orange Sriracha Chicken. Then right before cooking, I realized we didn’t have a side dish to go with it. Browsing the back of the book (“not ready”) furiously for a recipe, I came across Haricot Verts + Heirloom Cherry Tomato Salad. While we didn’t have any cherry tomatoes, we had some romas on hand which we could substitute. It all seemed to make sense: sometimes you’re prepared to cook, sometimes you’re not, and sometimes it’s a little of both. In this way, I found the book very easy to navigate. 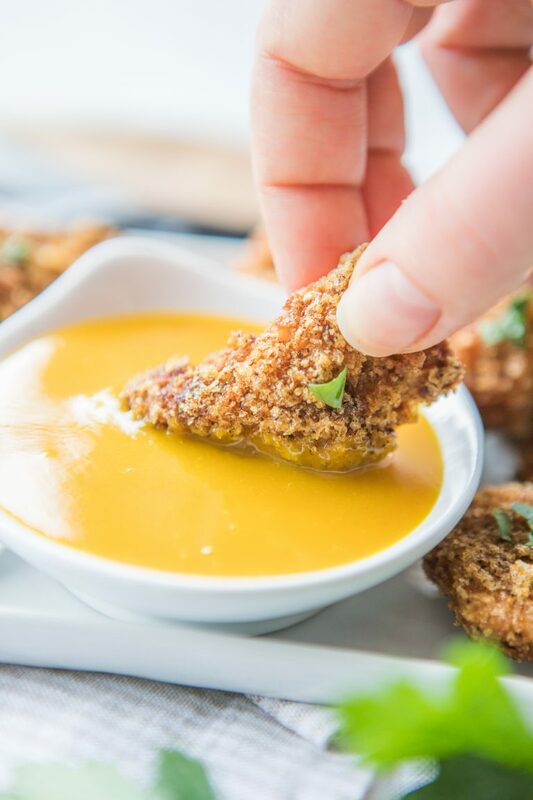 To begin making the Orange Sriracha Chicken, Michelle first recommends using Diamond Crystal Kosher Salt to salt the chicken. I know why (because I spent a fair amount of time reading the front matter of the book); it’s due to the consistent quality of this particular Kosher salt. 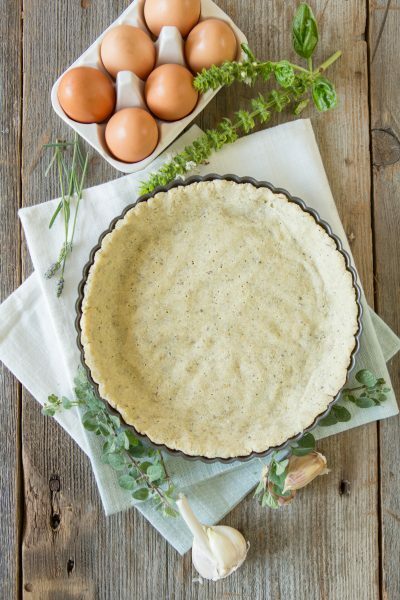 Standardization of ingredients across recipes is a good thing. 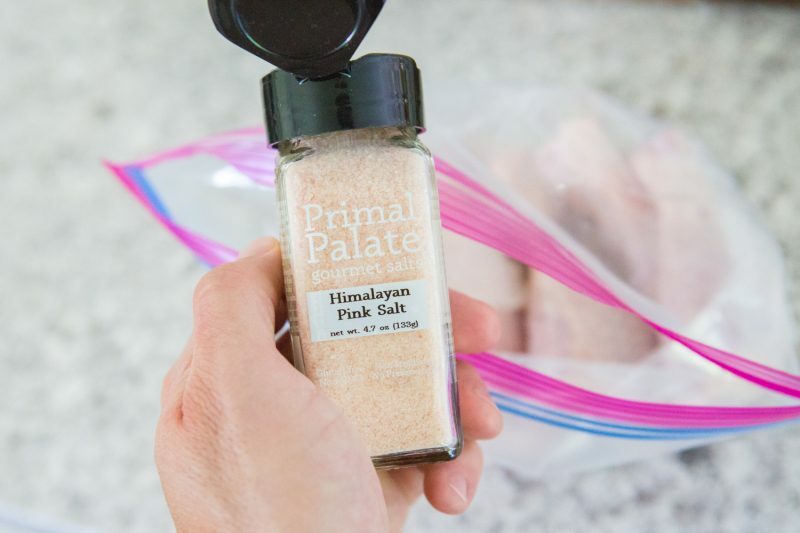 We particularly love our Himalayan Pink Salt, and seeing as I’m quite familiar with it’s seasoning abilities, I felt like I could use it without messing up the recipe. We like Himalayan Pink Salt because it’s a mined salt (meaning it hasn’t been exposed to all the environmental pollution of the last several hundred years), and it’s also mineral-rich. 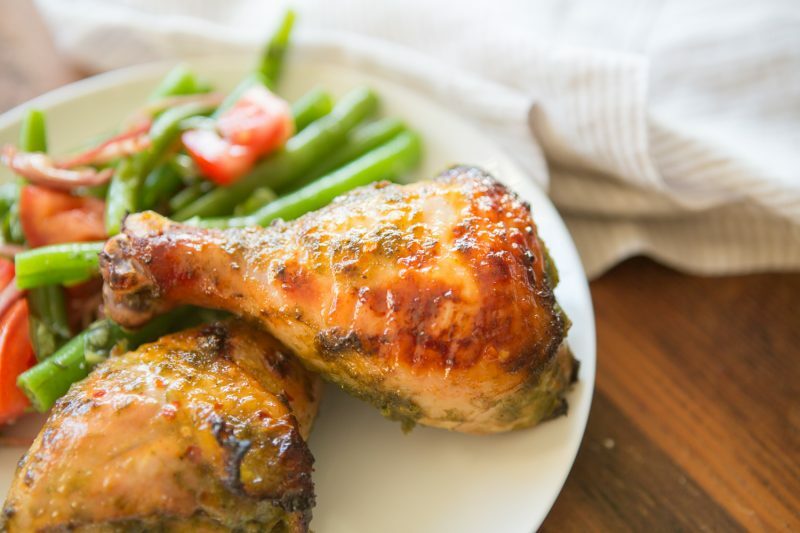 The marinade for the chicken is an unusual combination of basil, fresh orange juice, onion, garlic, tomato paste, fish sauce, and balsamic vinegar. I have to admit that it struck me as something I would not have thought to combine for a marinade, but it was really tasty. Also: I have full confidence and trust in Michelle’s recipes, so I didn’t fuss with it one bit. 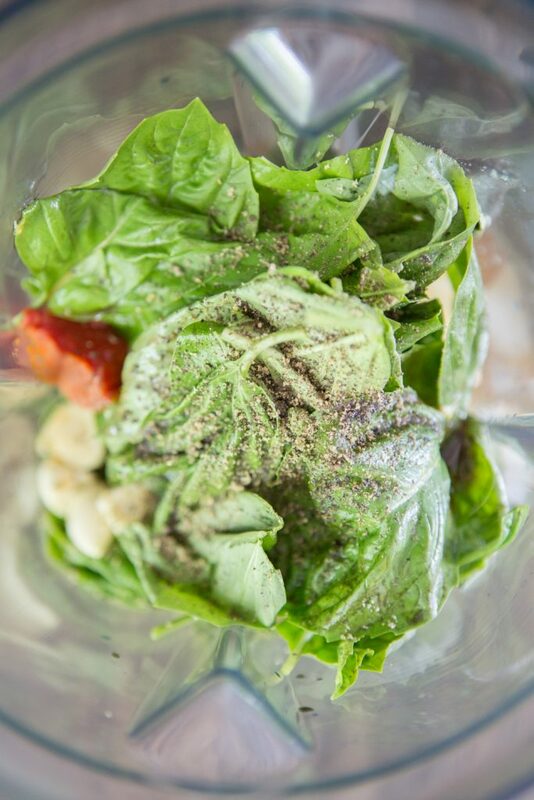 I love the simplicity of bringing together a sauce or marinade in a blender. It’s just so much easier, and less to clean. 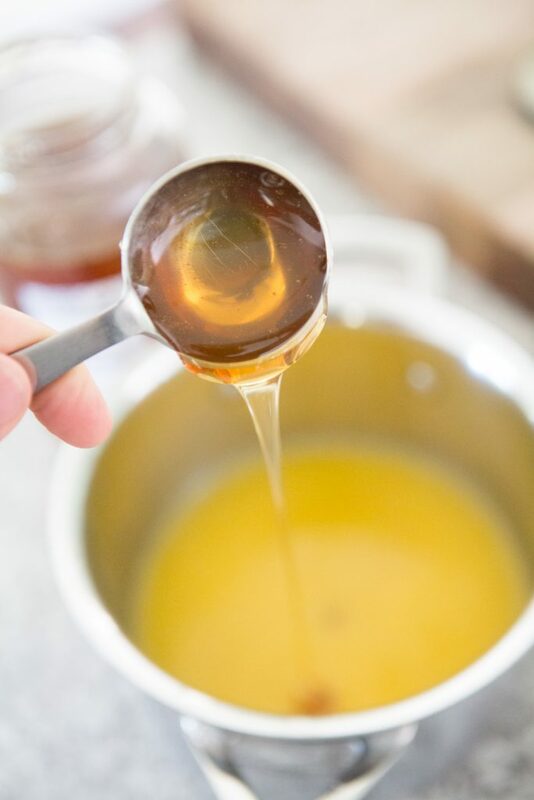 Plus, if everything gets liquified, then you don’t need to spend a lot of time worrying about chopping, dicing, mincing, or overly toiling with ingredients. 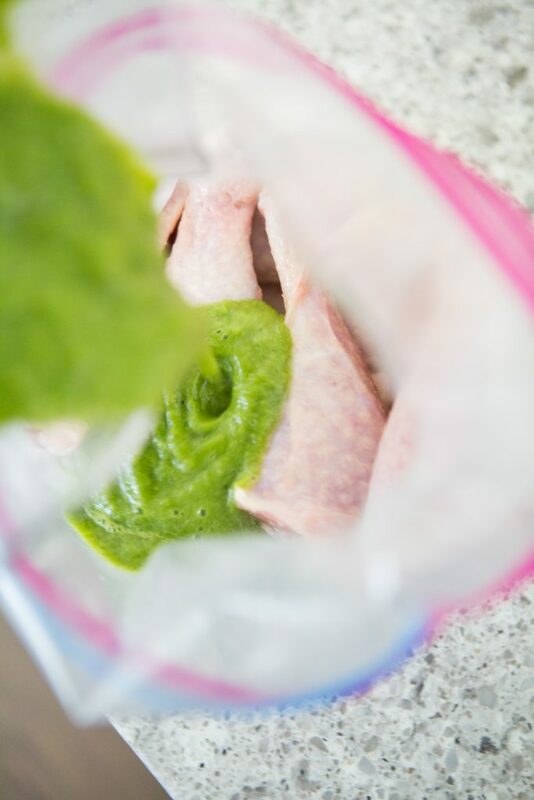 After a quick spin around our Vitamix, we poured the marinade into a ziplock bag with the salted chicken drumsticks. 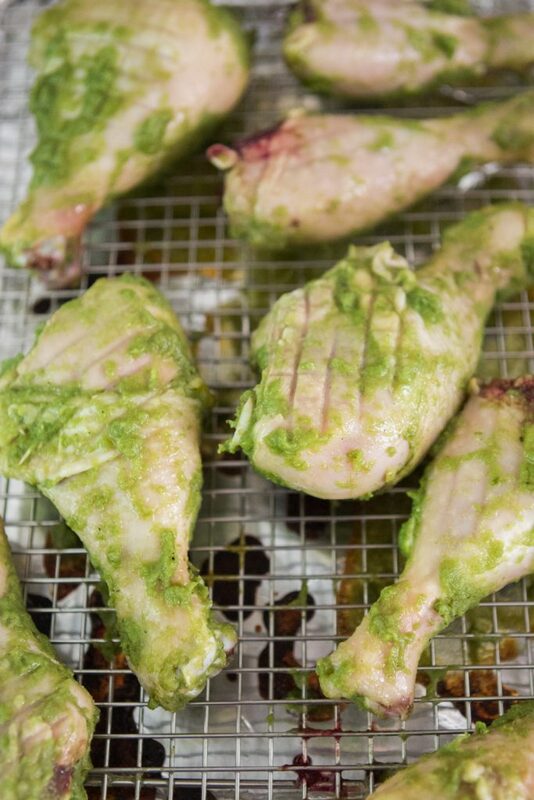 After an hour or two in the fridge, you preheat your oven to 400 and pop the chicken in on a wire rack (over a foil-covered pan). 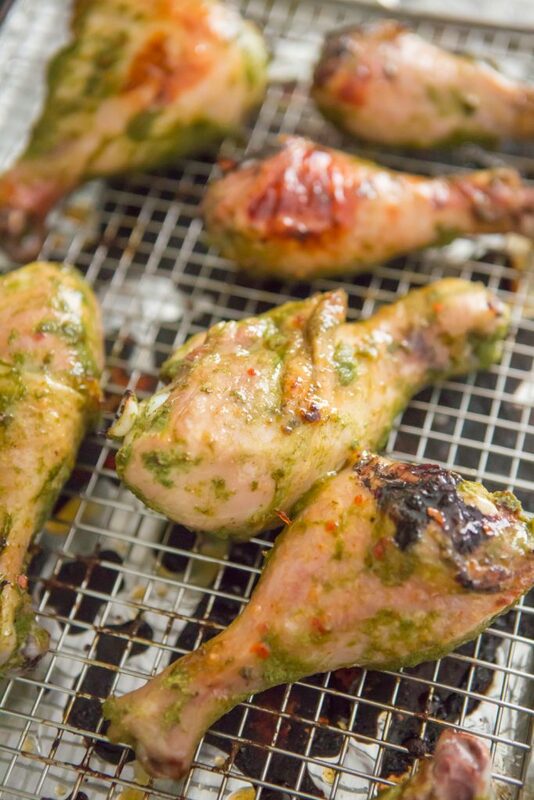 While the chicken is roasting in the oven, bring the sriracha sauce together. 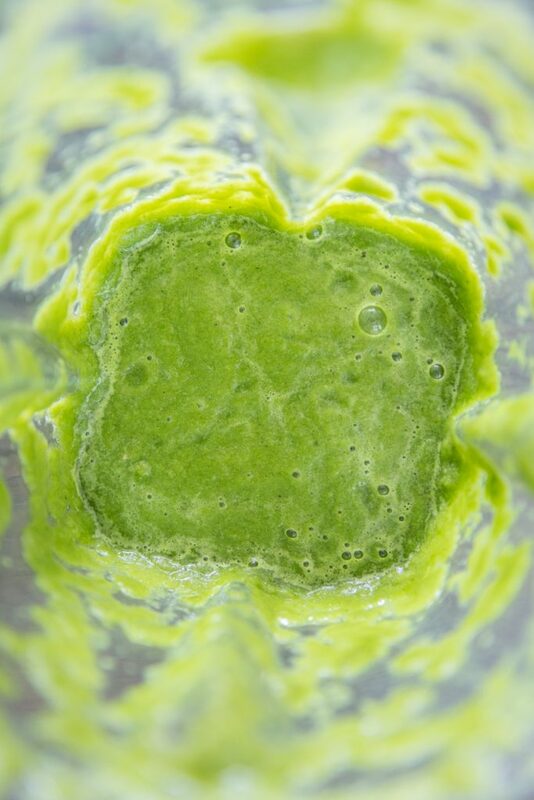 The sauce is a combination of orange juice, honey, sriracha, ghee, and coconut aminos. I went to the store for sriracha and accidentally picked up a bottle of sweet chile sauce instead (by accident). It was the same size and shape of the sriracha bottles, was right next to them, and had virtually the same ingredients (cleaner ingredients, though). 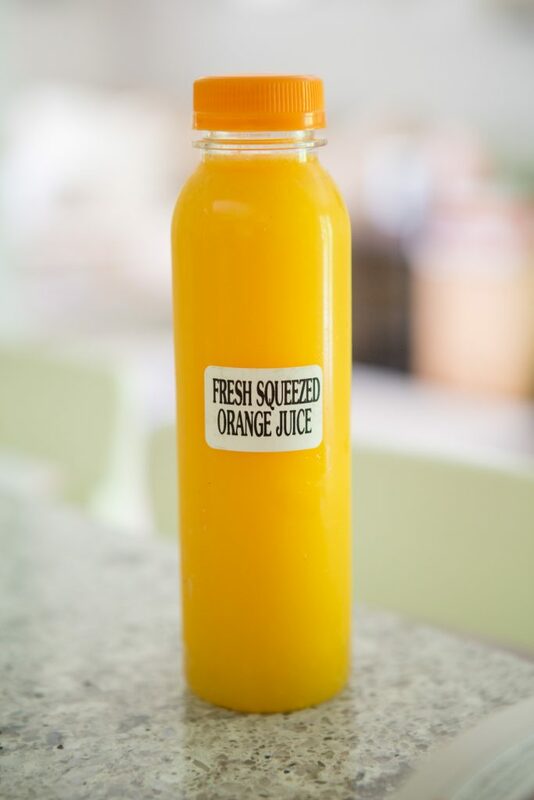 Even so, the flavor was pretty different, and I knew I had made a mistake. 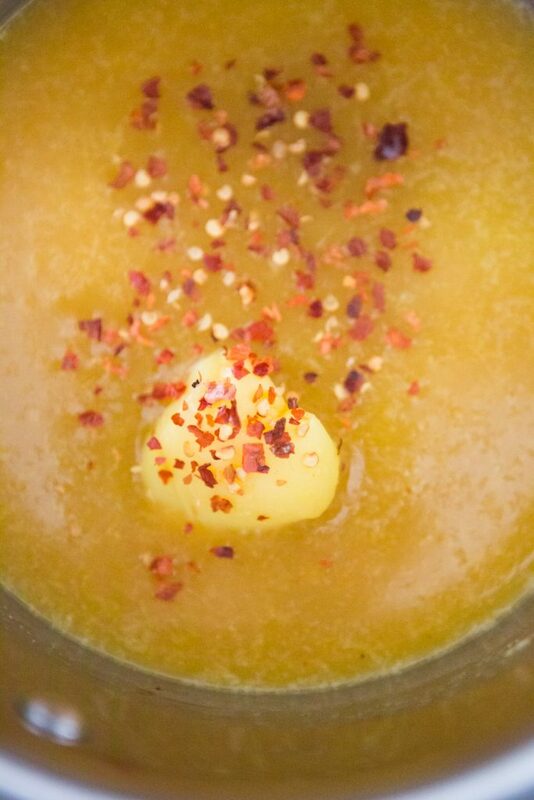 To get some extra heat into the sauce that it would surely lack, I gave a big dash of our crushed red pepper flakes. After 20 minutes in the oven, Michelle calls for flipping the chicken. 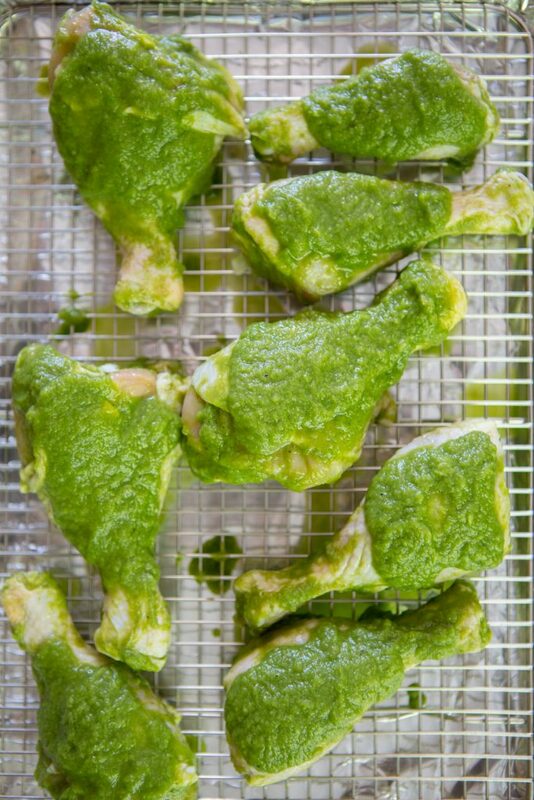 I was semi-worried about how green it still was at this point, having seen the recipe process photos in the book. The final result didn’t look green at all. Nevertheless, I pressed on and popped them back in the oven for 20 more minutes. 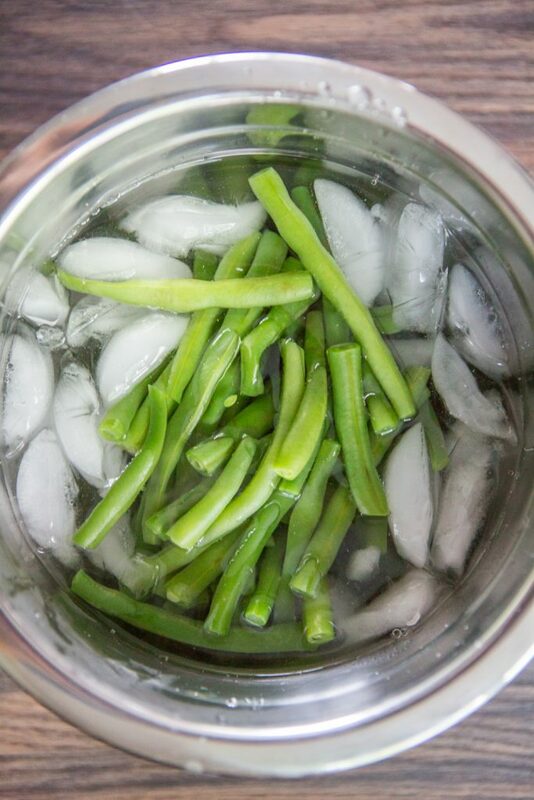 While the chicken was finishing it’s cook time, I prepared the green beans dish, which turned out to be just as easy as Michelle implied. 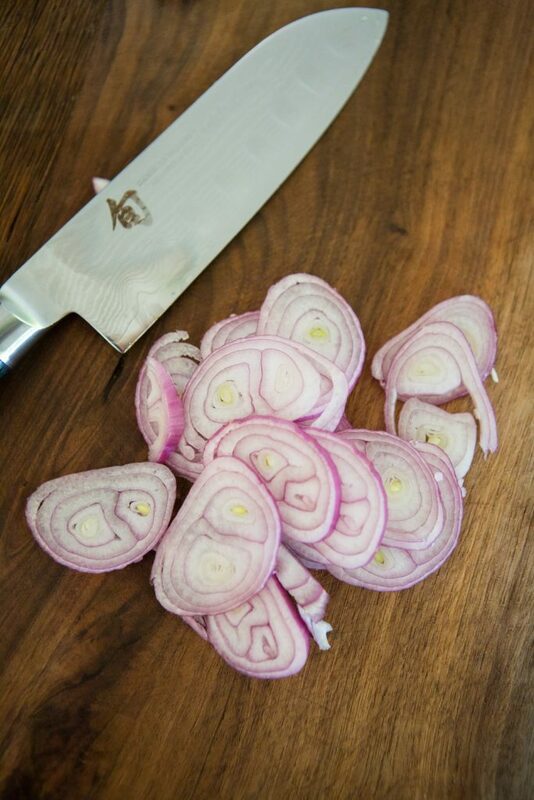 Thinly slice shallot and bathe in balsamic vinegar (this tames the strong flavor of them). 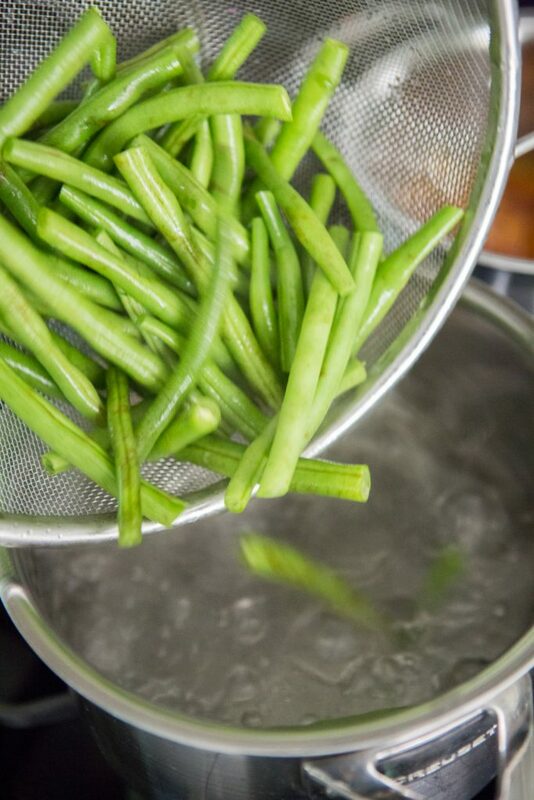 Blanch green beans for 2-4 minutes, then shock in an ice bath to stop cooking. 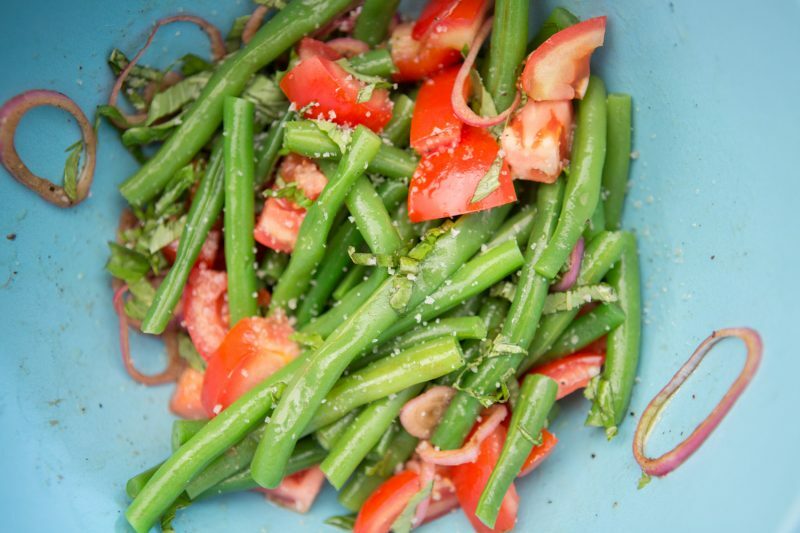 Toss the green beans with sliced tomato, julienned basil, the shallots, and salt and pepper. 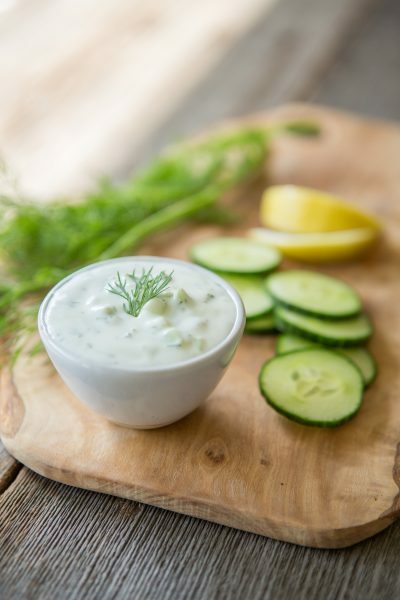 Since this is a finished cool dish, I used our French Grey Sea Salt, which is perfect for finishing dishes due to its texture. After 40 total minutes have elapsed, you brush the chicken with the orange sriracha sauce, and return them to the oven for 5 more minutes. I bumped up the temperature slightly (to 425) because they were pretty thick and weren’t getting as golden as I wanted them. However, even just a slight temperature bump fixed this. Everything came together nicely for this meal, and it was so cool to utilize the book in the way they intended it. We both loved the flavor of the chicken (that orange sriracha dipping sauce was amazing!) 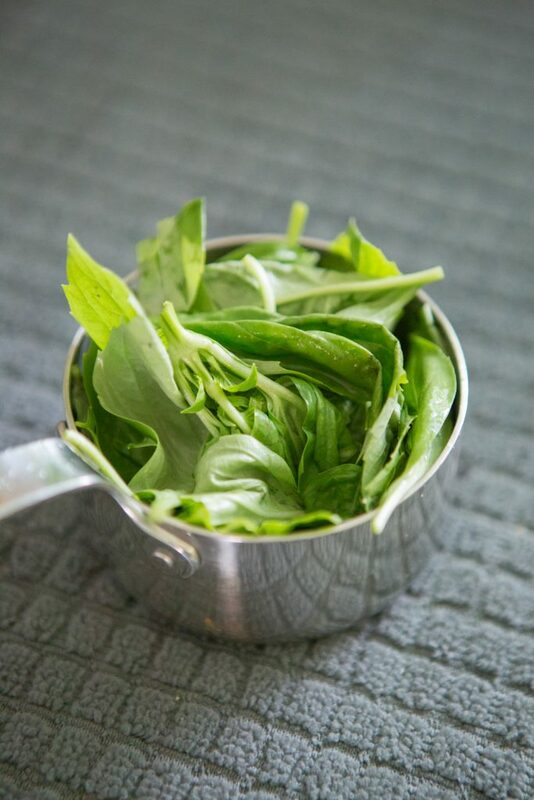 and it paired nicely with the cool green bean salad with balsamic. This book is just filled with great recipes, many I will want to make in the future. We will surely be posting those on Instagram and Facebook when we do. Even if you are a paleo cookbook hoarder, we think this book will make a nice addition to your collection. 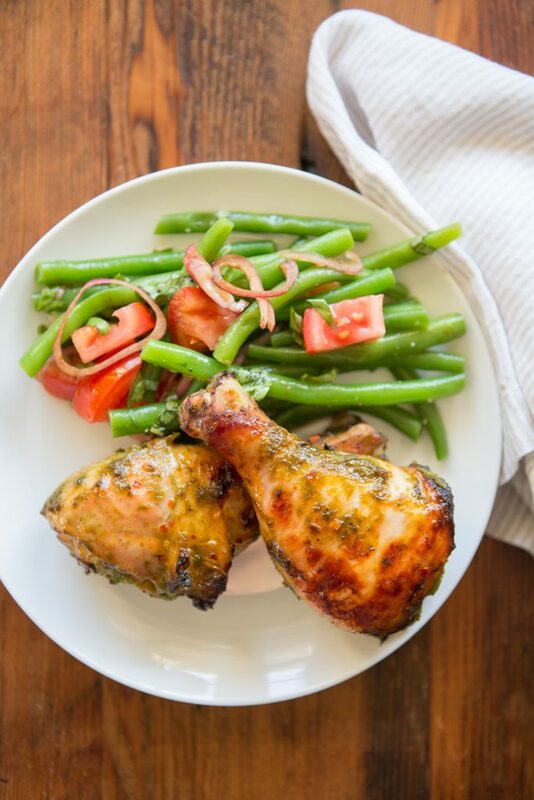 Michelle and Henry make paleo cooking easy, accessible, delicious, and fun. Ready Or Not! comes out August 1st, and is available for order now on Amazon.